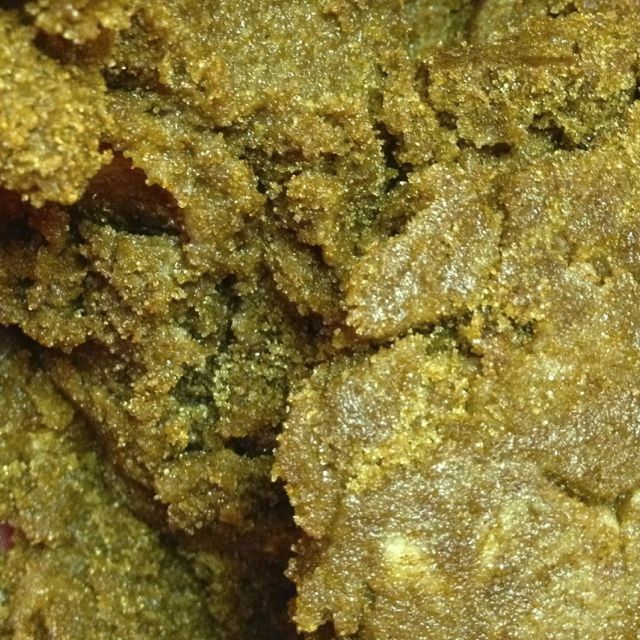 Make a batch and invite someone over to share. Click here for printable copy. In a 2 c glass-measuring cup, heat the milk, butter, and brown sugar on 50% power in a microwave for 2-3 minutes, until the milk is warm and the butter is mostly melted. It’s okay if there are a few blobs of semi-solid butter left. Stir to be sure all of the sugar has dissolved. Add in the vanilla. 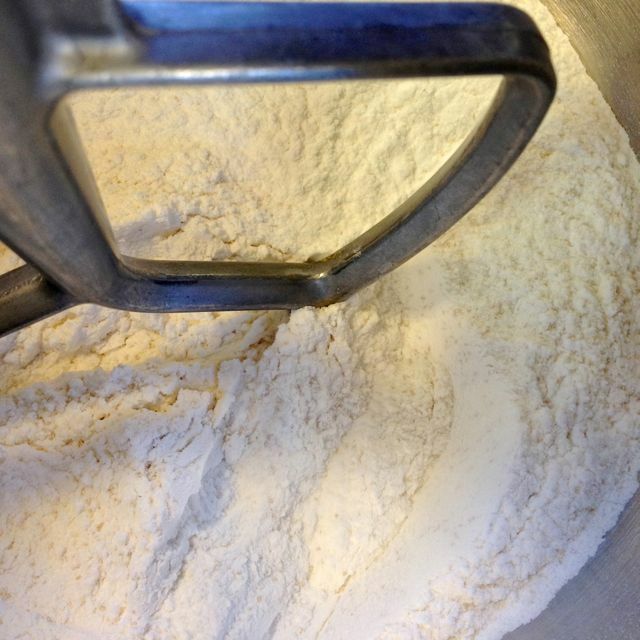 In the bowl of a stand mixer, mix together 3c of the flour and the salt with the tablespoon of yeast. Pour in the warm milk mixture, and using the paddle attachment, beat until smooth. 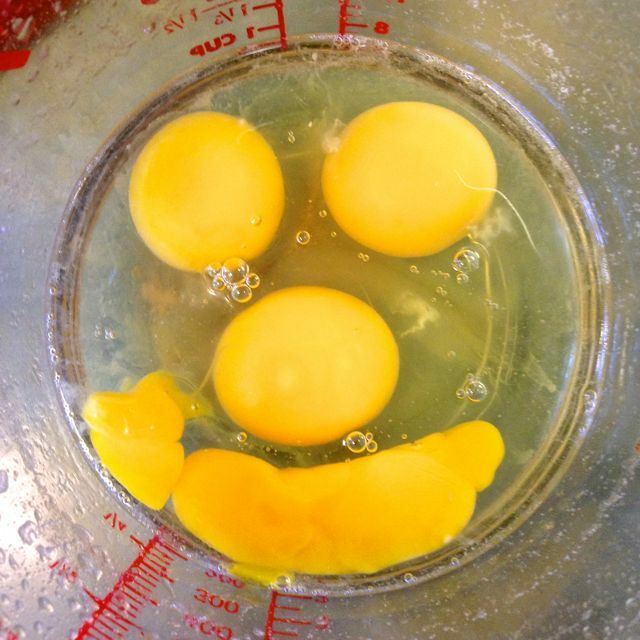 Add in the eggs, one at a time, beating until smooth before adding the next one. I usually just put them all in a measuring cup, and pour one in at a time. Clean down the sides of the bowl as needed. 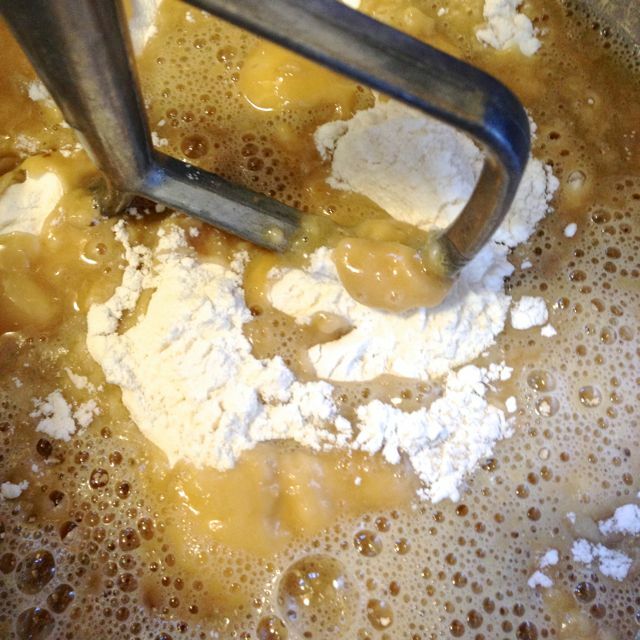 Add in the remaining flour about ½ a cup at a time until all the flour is mixed in. 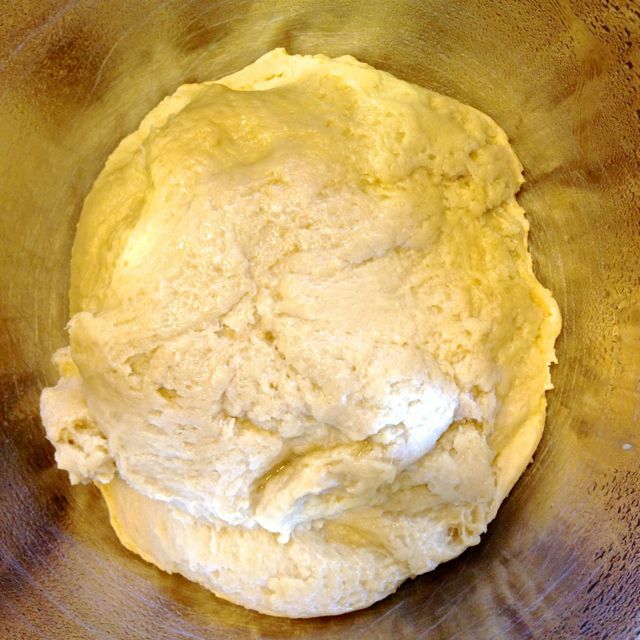 Knead until the dough leaves the sides of the bowl and is no longer sticky when touched. This usually takes about 5-6 minutes. 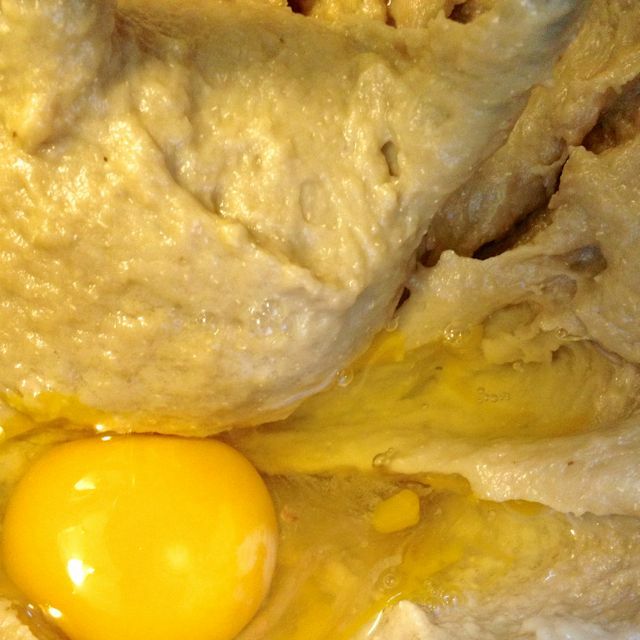 Leave the dough to rise until doubled, in a lightly oiled bowl, covered with plastic film. 1–2 hours. In a medium sized bowl, stir together the filling ingredients until smooth. 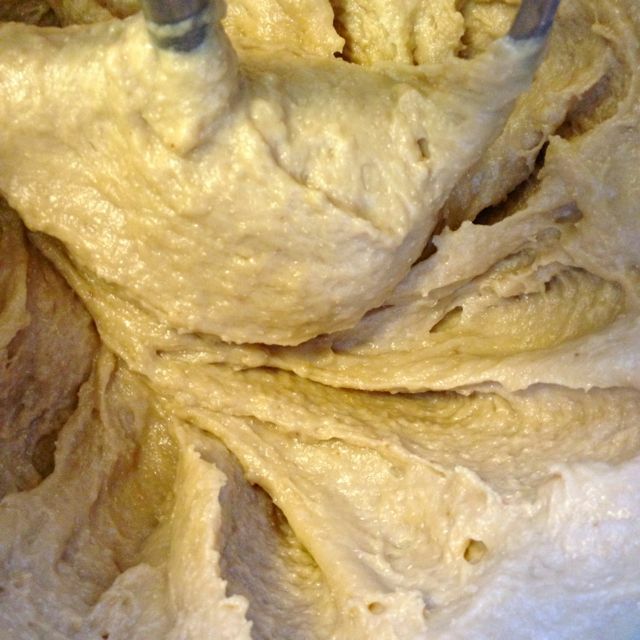 When the dough has finished its rise, punch it down and let it rest for a couple of minutes. 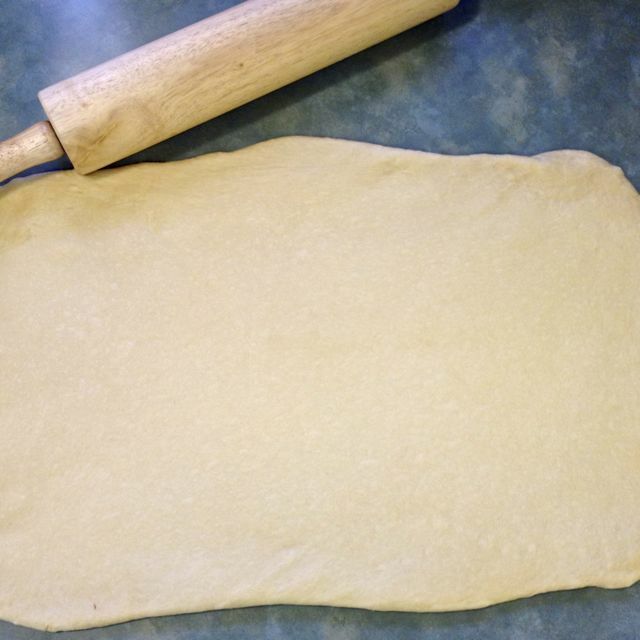 Place the dough on a clean work surface and using a bit of flour, use a rolling pin to roll the dough into an 18” x 12” rectangle. 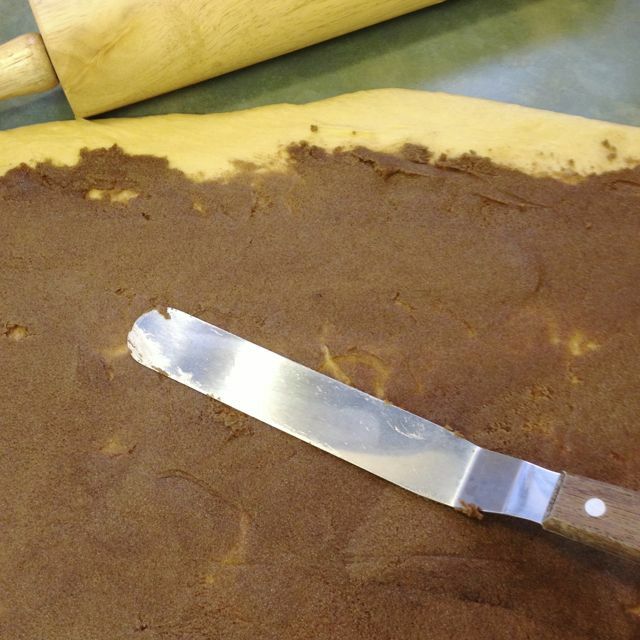 Using an offset spatula spread the filling over the whole area, except for an inch along one long edge. 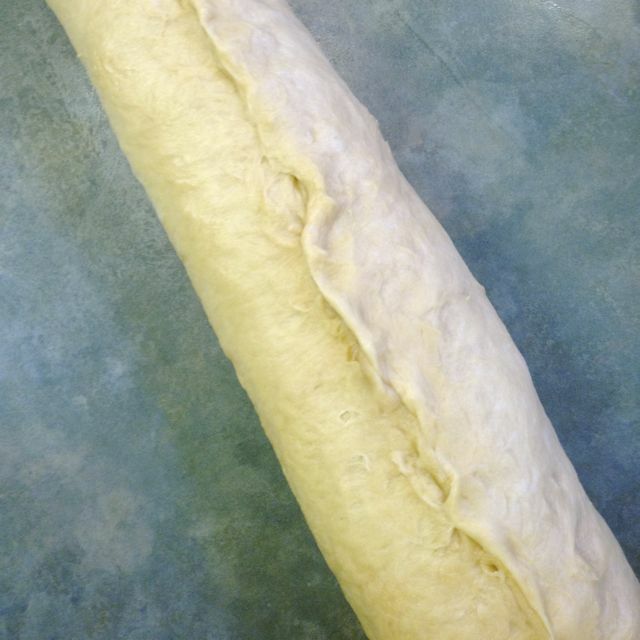 Starting at the long edge, roll up the dough with the filling, working from one end to the other, gently pressing the dough into the filling as you work. When you’ve rolled up the whole of it, pinch along the long seam to seal the roll. Crosscut the roll into 16 even pieces. 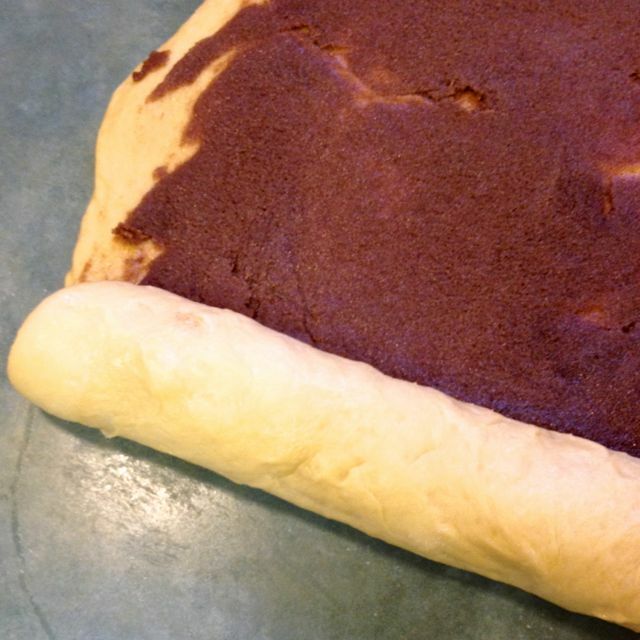 On an 11” x 17” baking sheet lined with parchment, lay the pieces out in 3 rows of 4. 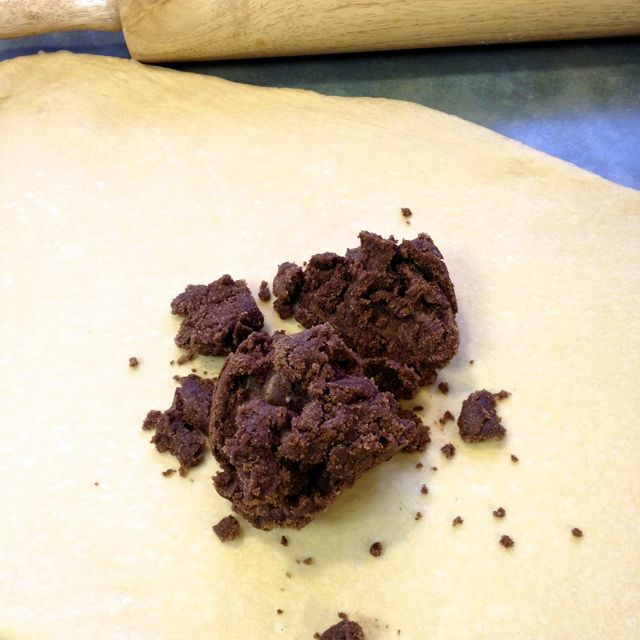 In an 8” x 8” pan, also lined with parchment, place the remaining 4 pieces. 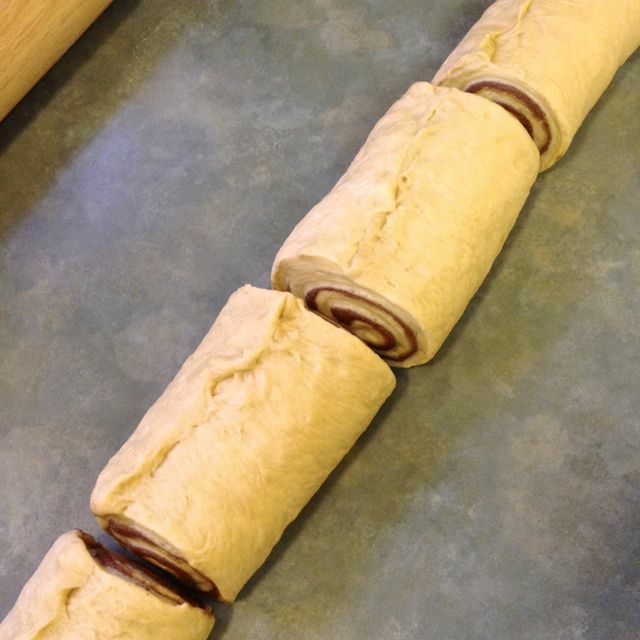 Let the rolls rest uncovered until the rolls have swelled into each other, usually about another ½ hour. 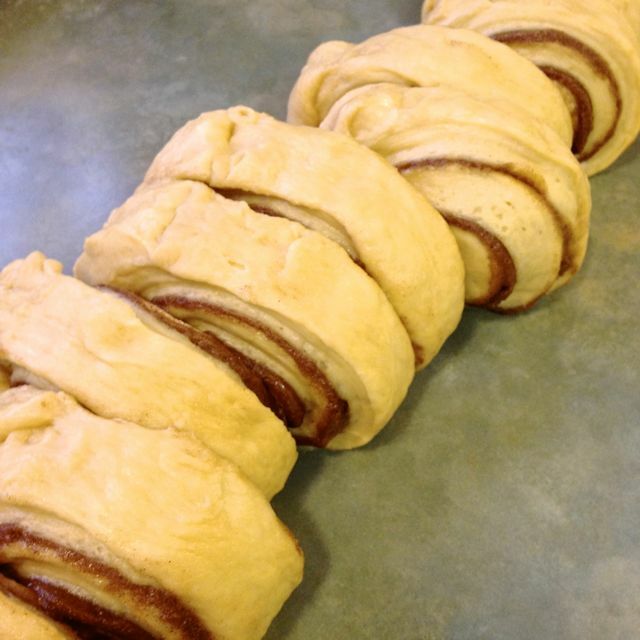 Bake the rolls for 28 minutes. Rotating the pans if necessary. 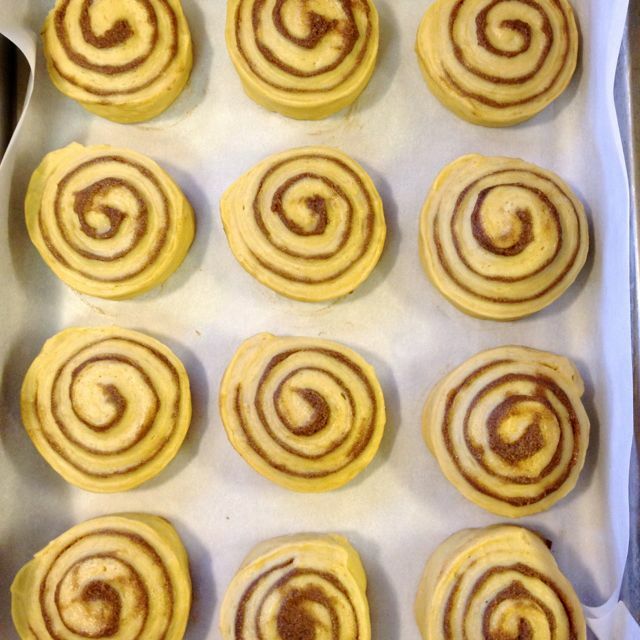 While the rolls are baking, stir together the glaze ingredients. Let the cinnamon rolls cool in the pans for about 15 minutes, and then spread the glaze over all, using an offset spatula. 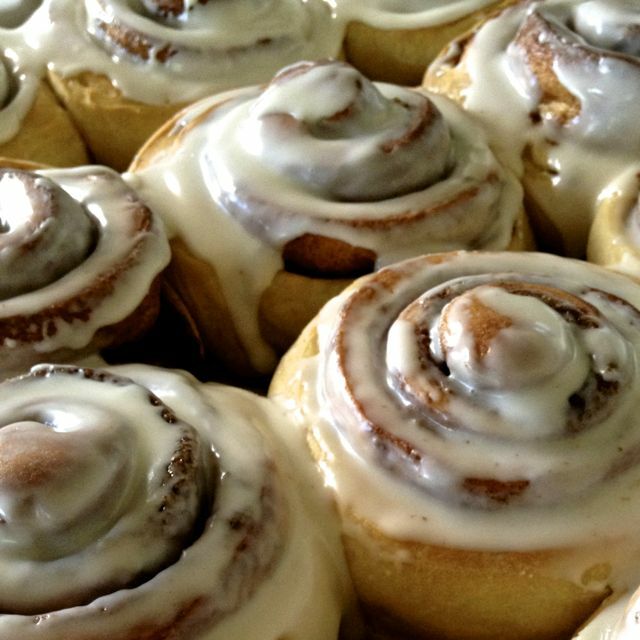 Be sure to let some of the glaze drizzle down inside the buns. 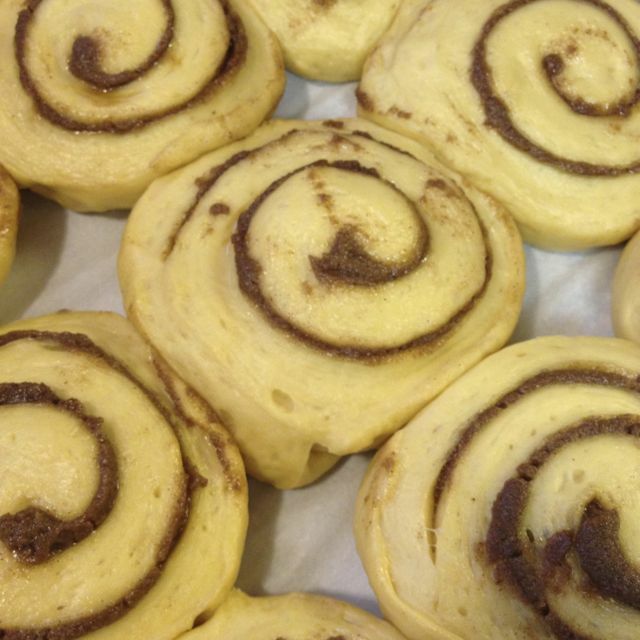 Do ahead: prepare the buns to arranging them in the pans. Cover with plastic wrap. 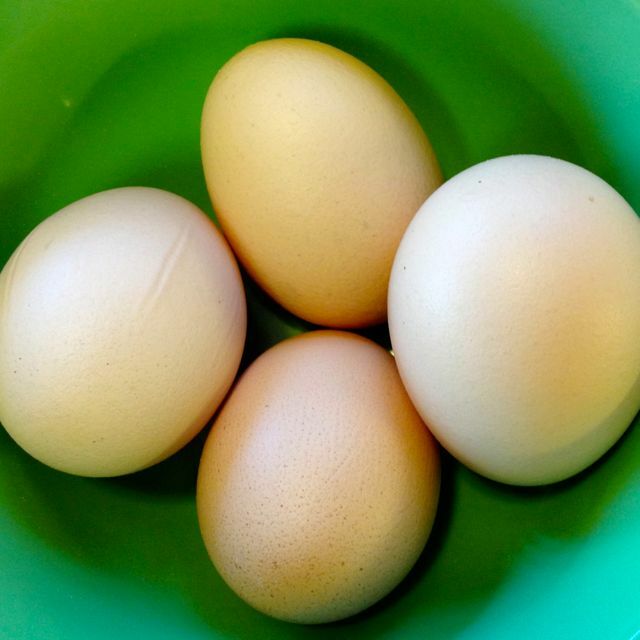 Leave in the fridge overnight. 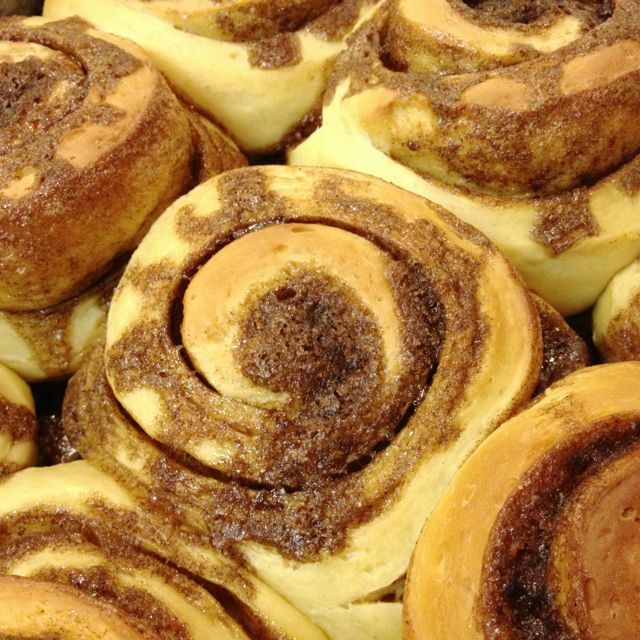 Let rest at room temperature for about 1½ hours, until they’ve risen enough that they’re touching each other in the pan. 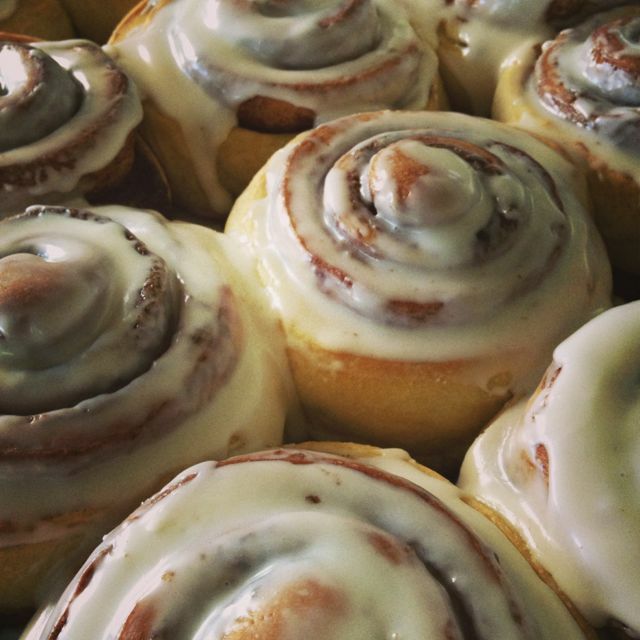 Proceed with recipe.